Dontrelle Willis is a former American professional Baseball player who played in the Major League Baseball (MLB). Dontrelle Willis has played as a pitcher for teams like the Florida Marlins, Detroit Tigers, Arizona Diamondbacks, and Cincinnati Reds. As a pitcher, Dontrelle Willis reportedly earned around $41,135,344 from his entire playing career. Further, Dontrelle Willis has an estimated net worth of over $20 million. Reportedly is he is married to his beautiful wife Natalee Vitagliano and shares 2 children with her. Dontrelle Willis was born on January 12, 1982, to parents Clinton Ostah and Joyce M. Guy. As per his nationality, he is American and belongs to African ethnic group. Further, his star sign is Capricorn. However, the details about his siblings are not surfaced in the media yet. Willis grew up as an Oakland Athletics supporter. Willis' favorite player was Dave Stewart, a pitcher from former Oakland Athletics. Willis attended Encinal High School in Alameda where he spent four years playing baseball. In 2000, he had a 0.70 earned run average( ERA) in the senior year with 111 strikeouts in 70 innings and was named California Player of the Year. He initially committed himself to Arizona State University to play for their baseball team. Further, the MLB Player Dontrelle Willis earns a good amount of money from various sponsorships through which he managed to add up an amount to his net worth. In October 206, the couple purchased a $2.65 million waterfront residence in North Miami Beach. 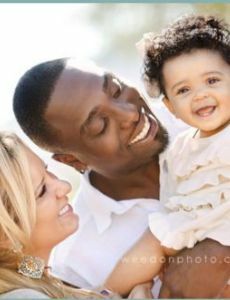 Currently, Dontrelle Willis is married to his lovely wife Natalee Vitagliano since December 8, 2006. The couple started dating in 2004 and had an affair for 2 years. He was engaged to South Florida resident Natalee in February 2006. During that time, she was a law-school graduate who just passed the bar. Further, the duo shares two children together, 11 years old Bianca Willis and 12 years old Adrianna Rose Willis. The duo is living a happy life together without any rumors of divorce or separation. Additionally, he is not involved in rumors about his past affairs, relationship, and girlfriends. Some days, after his marriage in December 2006, Willis was arrested and charged with drinking and driving. Talking about his body measurement, the Famous MLB star is 1.93 m (6 feet 3 inches) in height and weighs around 102 kg. Dontrelle played for many teams in his entire playing career. He represented different teams like the Florida Marlins, Detroit Tigers, Arizona Diamondbacks, and Cincinnati Reds. He played for Florida Marlins from the year 2003 to 2007. On 27 March 2002, in exchange for pitchers Matt Clement and Antonio Alfonseca, the Cubs traded Willis( then a minor leaguer), fellow pitchers Julián Tavárez and José Cueto, and catcher Ryan Jorgensen to the Florida Marlins. Willis signed a one-year contract with the Marlins on January 15, 2007, for $6.45 million, avoiding salary arbitration. On December 5, 2007, the Marlins traded Willis along with Miguel Cabrera to the Detroit Tigers for Andrew Miller, Cameron Maybin, Mike Rabelo, Eulogio de la Cruz, Dallas Trahern, and Burke Badenhop. On June 1, 2010, Willis was traded for pitcher Bill Buckner to the Arizona Diamondbacks. On December 13, 2011, Willis agreed on a contract with the Philadelphia Phillies on a one-year deal worth $1 million.